Biometric technologies have advanced tremendously over the last few years; iris recognition is unparalleled in its reliability for quick, secure identity confirmation. We are excited to integrate the technology into our BACS™ applications. 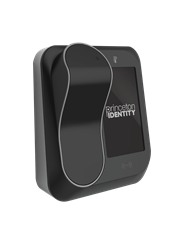 LEID Products, LLC, leader of electronic locker and cabinet storage with biometric asset protection and control, today announced the integration of Princeton Identity Inc.’s patented Iris on the Move™ (IOM) technology, IOM Access200™. The IOM Access200 is among the most accurate and trusted solutions for identity confirmation with the iris being the most accurate human identifier other than DNA.